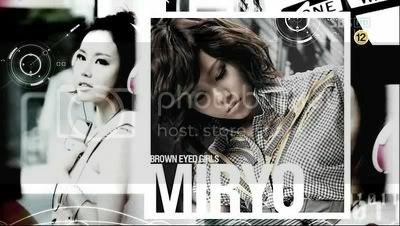 Brown Eyed Girls is a quartet female group. The began with a more soulful sound and were moderately successful, but really hit their stride with the mini-album "With L.O.V.E." The group dominated in early 2008 with their hit single "L.O.V.E" and became a household name in Korea, and continued their success with their second single off that mini album, "Love Action." Their biggest hit to date has been "어쩌다" (How?) and has made this group one of the biggest acts in Korea. The girls have finally made their comeback with their 3rd album "Sound-G" and have changed up their sound again and are receiving a great response from the netizens for their song "Abracadabra." Loved the 2nd album and the with LOVE ep. Wasn't really feeling the next couple singles and haven't really been following them since. WERD. I remembered whatcha said in CSP but just had to mention Abracadabra..
Love that Candy Man MV. HiP ACTION. Was they always this electro-fused. I grabbed their recent comeback off Yoobin Skyblog for curiousity sake. They were actually more smooth R&B, pop until around last year. Awesome pic spam Odango - I look forward to listening to this group much more. Thanks for creating the thread. Awwww snap Odango made the thread! I do love me some BEG and I credit Odango for introducing me into them. I guess I can't really say anything about "man, what's the deal with car accidents lately?" since they happen all the freaking time. We just suddenly give a damn when someone we know or know of is involved in one. Good to heard BEG are alright tho, sounded not quite as drastic as SNSD's acciedent a few days back, and even that one wasn't such a big deal apparently, but still. Right after the Brown Eyed Girls performance on Music Bank, the girls were headed to another scheduled event near the Han River at around 8pm, when they slightly collided with the car in front of them. 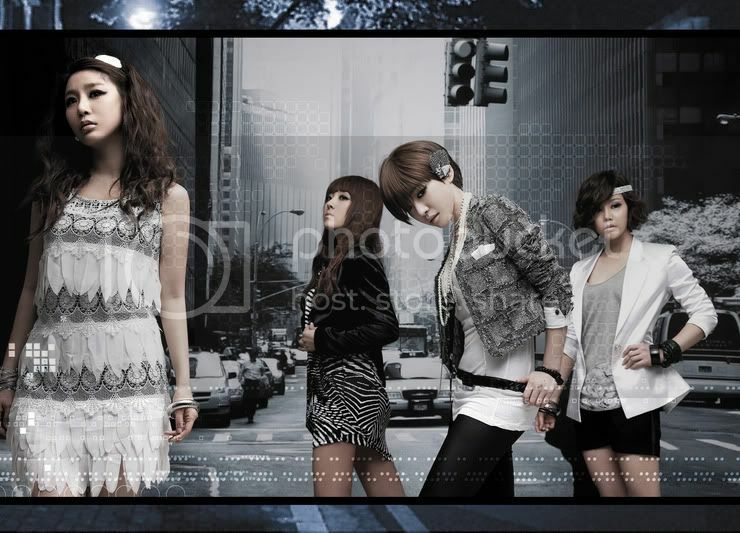 The car in front of them stalled because of a flat tire and the vehicle in which the Brown Eyed Girls were in slightly collided with the car in front. The members didn't have any injuries of note, but some were reportedly a bit shocked about the whole ordeal. They changed vehicles and continued onto their next schedule. Luckily no one was hurt, just the other day SNSD got in a minor accident as well, hopefully everyone drives more carefully. daaaaaaaaaaaaaaaang. Just watched the Abracadabra mv... for like the 2nd... er, 3rd time. First time, I just let the video play as I did something else. I was diggin' the beat, but the melody wasn't catching my attention. Later I actually watched the MV. hoshit. This is hot hot hot. Too much hotnesssssss. Girl with the bob? HOT. I love her eyes and how she seduces the camera with em. HA! Ange on the KPop bandwagon too!? abracadabra has grown on me quite a bit since i first heard it. I'm learning the dance and everything. Member GaIn Brown Eyed Girls, who was once criticised for the provocative bed scene included in the MV to their title song ‘Abracadabra’ off their comeback album ‘Sound G’, revealed that she has learnt a lot through watching adult films. GaIn said on Maybee’s KBS radio show on 9th August, “I have never had any skinship with man.” and Narsha added, “Without this kind of experience, you are unable to express the feelings to the scene.” GaIn continued, “I really have no experience to this and I am pretty conservative. But I learnt a lot through watching adult films. 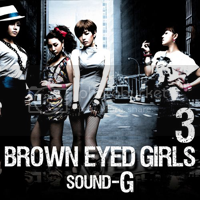 Meanwhile, Brown Eyed Girls ‘Abracadabra’ is going very strong up on various music sites.